WARNING: DON'T OPEN, SPOILERS INSIDE. 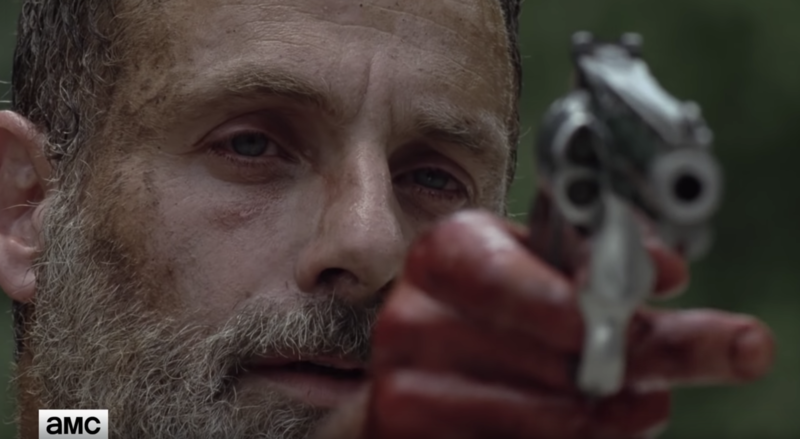 If you haven't been paying attention, it was announced that Season 9 of The Walking Dead would be Andrew Lincoln's last. Lincoln was only featured in the first five episodes of the season, ending with last night's installment, "What Comes After." If you didn't see Rick Grimes's penultimate episode, it ended with him being bucked off of a horse and impaled as walkers closed in on him. On his final episode, he managed to get up and spent the majority of the episode running from walkers, bleeding everywhere, and trying to not die. 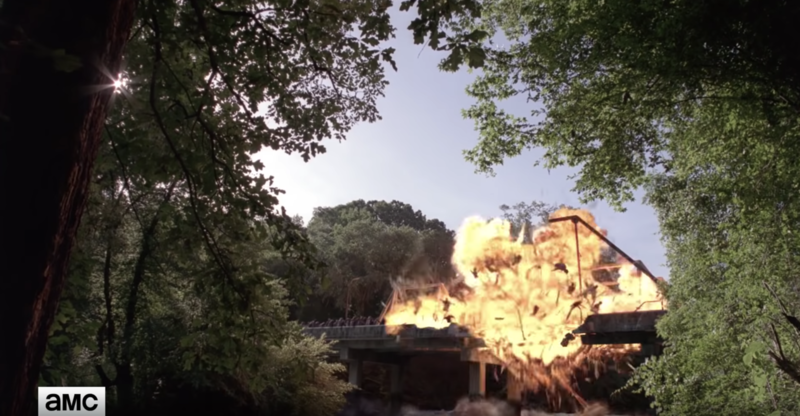 Eventually Rick wound up in a scenario where he could save his people from an impending herd, and in a last ditch effort, he shot some dynamite, blowing up the bridge he was standing on, sacrificing himself. Everybody was shocked and sad and ready to fire off those RIP Rick Grimes tweets. Twitter had some feelings about the twist ending. So, after all that, it turned out Rick survived and even more interesting, it was announced that Andrew Lincoln will be starring as Rick in multiple AMC movies. Of course, fans had thoughts on this news too. Me: Hey, AMC, you said this was the end of Rick Grimes?! AMC: No, we said it was his final episodes on #TWD Me: Oh come on AMC: Coming up we have 4 movies, a 16 part mini series digital content &amp; a Rick Grimes mix tape! Me: Ok, I'm tapping out. AMC: Don't forget about FTWD too! So that's the end of Rick on the series (for now) and starting with the next episode, it appears there'll be a significant time hop. Buckle up, it appears The Walking Dead is here to stay, even sans Rick Grimes!